Kate makes her Royal Ascot debut in £2,415 Dolce & Gabbana dress | HELLO! June 15, 2016 - 14:53 BST hellomagazine.com This might be our favourite look yet from the Duchess! 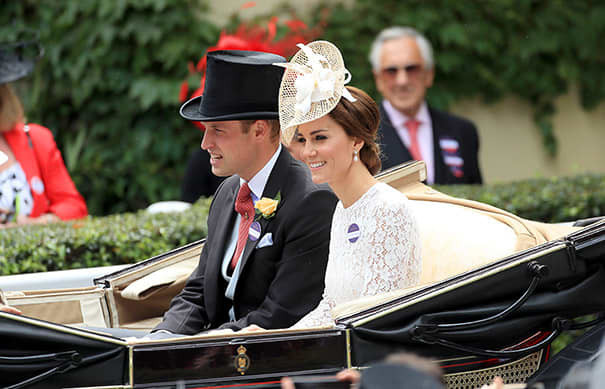 The Duchess of Cambridge, neé Kate Middleton, rounded off her busy week by making her hotly anticipated debut at Royal Ascot. In typical style, the royal had expertly struck a balance between fashionable and formal, wearing a stunning white lace dress from Dolce & Gabbana. This time, the 34-year-old let the dress take centre stage – much to fashion fans' delight! The beautiful white dress features sheer sleeves, a nipped-in waist and a tiered, swishy skirt. She topped off the look with a beautiful matching hat from Jane Taylor. The dress sold out within hours of the Duchess wearing it in May. Kate was joined by Prince William as she turned up to the famous racing event. 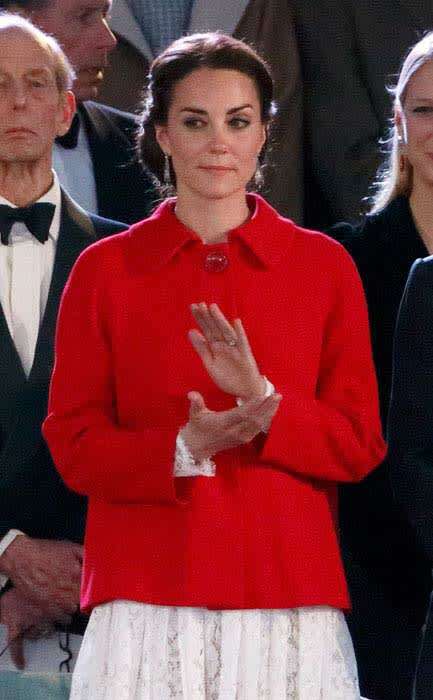 Kate also stepped out in Windsor for the Order of the Garter ceremony on Monday, where she wowed in a scarlet Catherine Walker coat dress which she had previously worn on a royal tour of Canada in 2011.